Hamilton, OH, June 11, 2018	(Newswire.com) - ​​​​​​​Pipeline H2O, the award-winning water technology commercialization program managed by The Hamilton Mill is pleased to announce the completion of the 2018 class. 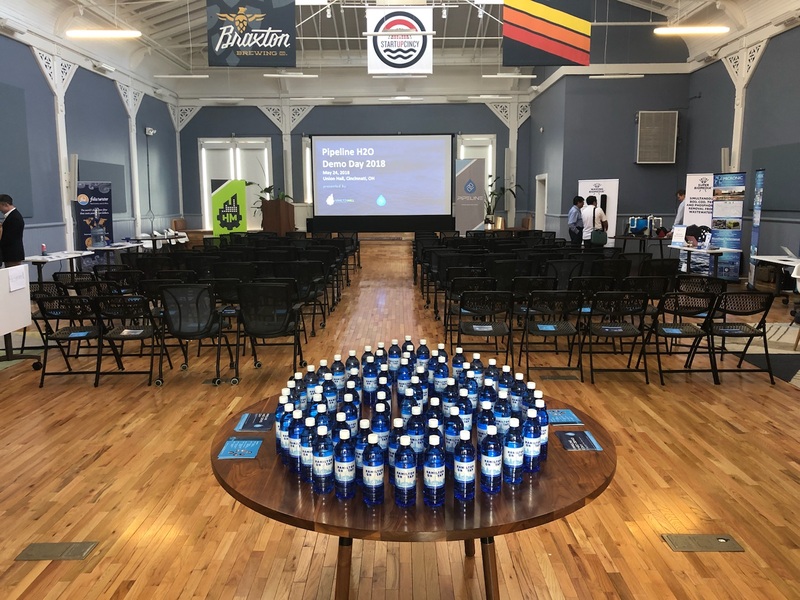 The culmination of the program was a "Demo Day" whose audience consisted of investors, government innovators, university representatives and members of the #StartupCincy community. Each member of the Pipeline H2O 2018 class presented their breakthrough technologies and potential impact to the festive crowd. Advizzo combines behavioral science and machine learning to transform utility customer engagement. The platform integrates customer and operational data together with various third party data, and runs it through the Advizzo platform where machine learning and behavioral science is combined to produce actionable insights and services. Simple, effective and engaging solutions. Drop Water is an innovative way to make and distribute bottled water that was designed from the ground up to be as efficient and sustainable as possible. Drop Water is addressing the environmental issues associated with traditional bottled water and providing a necessary update to an outdated, inefficient, and stagnant industry. Their proprietary compostable bottles and automated kiosks have led to a rapidly scalable solution ready to displace harmful plastic bottles. Folia Water is creating a new $1B+ category: fast moving consumer goods water filters for the 3 billion people who make $2-10/day. Nanosilver-infused Folia Filter are packaged like simple coffee funnel filters and provide a week of safe germ-free water for a family. They are the world's first water filter that cost pennies and not dollars. GeoInteractive are a deep tech company automating the job of critical sewers inspections. GeoInteractive have developed an untethered floating robot to remove the need to send people into sewers to perform condition inspections along with a cloud-based platform allowing users to view the sewer from their office. GeoInteractive utilize advances in robotics, sensors, computer vision and machine learning with the aim of fully automating the condition assessment and scheduling of repair work process for large sewer networks. Micronic Technologies is a woman-owned small business, was established in 2008 to develop, patent, and commercialize an advanced state-of-the-art water purification system. MicroEVAP™ uniquely separates contaminants from water using mechanical evaporation, vapor compression, and condensation with increased throughput at reduced complexity and cost. Creating a small concentrated waste stream for efficient disposal, MicroEVAP™ removes >300,000 ppm of total dissolved solids and >95% of inorganics, metals, bacteria, and suspended solids. Water Warriors is the first no-expansion-needed solution for water treatment plants fighting the losing battle of removing nitrogen and phosphorous from water. We offer specially-coated, long-lasting biomedia systems that increase biological activity within existing lagoons or aeration basins to remove these harmful pollutants while lowering BOD and COD. This is a game changer in an industry typically forced to adding standalone systems to meet regulations. Now, non-compliant facilities landlocked into polluted water and EPA fines have a way out. For more information on these companies click here. At the end of the evening, Antony Seppi (Program Director) and Rahul Bawa (Board Chairman) announced the winners of two $25,000 investments. The two winners, as chosen by their peers, were Drop Water and GeoInteractive. The winners were selected using a unique peer ranking process. Throughout the program, the companies ranked each other across various factors such as team, customer validation, financials, scale and impact, product and return of capital. The final ranking was conducted during their last week in the program. This project was funded in part by a grant from the unrestricted funds of the Hamilton Community Foundation, made possible by generous donors since 1951. 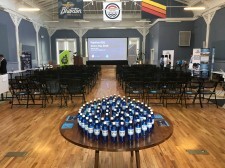 Additionally, collaborative support was offered through a coalition of regional cities, utilities, universities, and startup organizations throughout the Greater Cincinnati region. Pipeline H2O’s goal is to identify and accelerate companies working on water technologies that address the world’s water challenges. Some of the challenges include infrastructure improvements, water reuse, wastewater treatment, monitoring and consumer innovations. Hamilton Mill's Pipeline H2O program was announced in September 2016, with its first cohort completed in May 2017. This is the second successful Pipeline H2O class and the startups will maintain a presence throughout the tri-state as they continue to grow their respective businesses by addressing industry and utility specific challenges throughout the region.